Connecticut Kids Get a Taste of "Rio"
Animated feature by Connecticut-based Blue Sky Studios will premiere Monday in Hartford. The highly-anticipated, animated feature film "Rio" is coming to Connecticut. The movie, starring Anne Hathaway and George Lopez, will premiere at the Connecticut Science Center in downtown Hartford on Monday afternoon. Gov. Dannel Malloy will join Blue Sky head honcho Brian Keane, Fox Entertainment chief James Gianopulos and MPAA chairman (and former Senator) Christopher Dodd for a news conference before the screening. "Rio" is the first full in-state production Blue Sky Studios has created since the company moved to Greenwich in 2008. The company is most famous for producing "Horton Hears a Who" and the "Ice Age" movies. Will.i.am at "Rio" Premiere: Jamie Foxx Is "Challenging"
The singer has worked with Michael Jackson and Stevie Wonder, but says of Foxx: "that dude is dope." The studio's latest flick will be shown to a group of students immediately following the news conference. 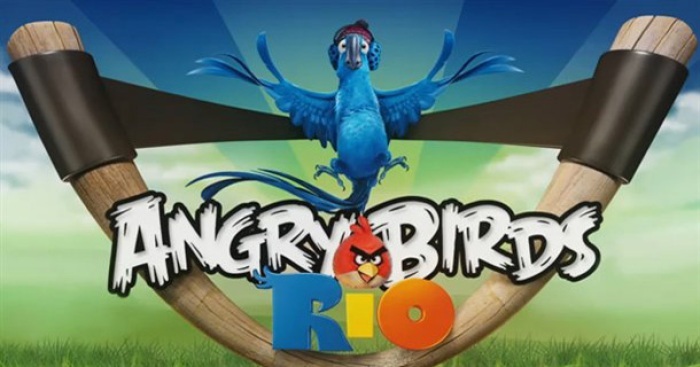 The nationwide release date for "Rio" is April 15.